Single event effects of 1-T structure programmable read-only memory (PROM) devices fabricated with a 130-nm complementary metal oxide semiconductor-based thin/thick gate oxide anti-fuse process were investigated using heavy ions and a picosecond pulsed laser. 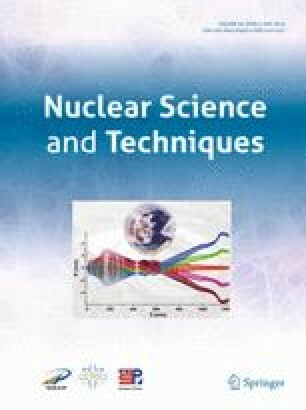 The cross sections of a single event upset (SEU) for radiation-hardened PROMs were measured using a linear energy transfer (LET) ranging from 9.2 to 95.6 MeV cm2 mg−1. The result indicated that the LET threshold for a dynamic bit upset was ~ 9 MeV cm2 mg−1, which was lower than the threshold of ~ 20 MeV cm2 mg−1 for an address counter upset owing to the additional triple modular redundancy structure present in the latch. In addition, a slight hard error was observed in the anti-fuse structure when employing 209Bi ions with extremely high LET values (~ 91.6 MeV cm2 mg−1) and large ion fluence (~ 1 × 108 ions cm−2). To identify the detailed sensitive position of a SEU in PROMs, a pulsed laser with a 5-μm beam spot was used to scan the entire surface of the device. This revealed that the upset occurred in the peripheral circuits of the internal power source and I/O pairs rather than in the internal latches and buffers. This was subsequently confirmed by a 181Ta experiment. Based on the experimental data and a rectangular parallelepiped model of the sensitive volume, the space error rates for the used PROMs were calculated using the CRÈME-96 prediction tool. The results showed that this type of PROM was suitable for specific space applications, even in the geosynchronous orbit. Chang Cai and Tian-Qi Liu have contributed equally to this work and should be considered co-first authors. This work was supported by the National Natural Science Foundation of China (Nos. 11690041, 11805244, and 11675233) and the Opening Project of Science and Technology on Reliability Physics and Application Technology of the Electronic Component Laboratory (No. ZHD 201604).